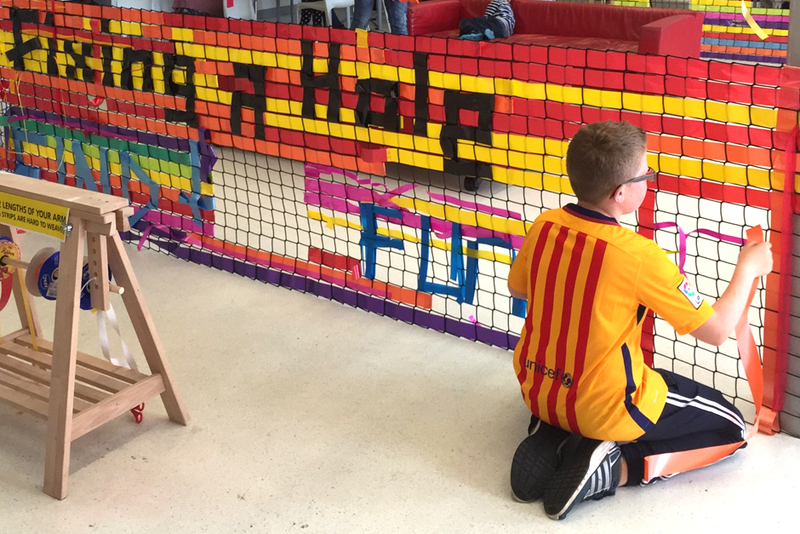 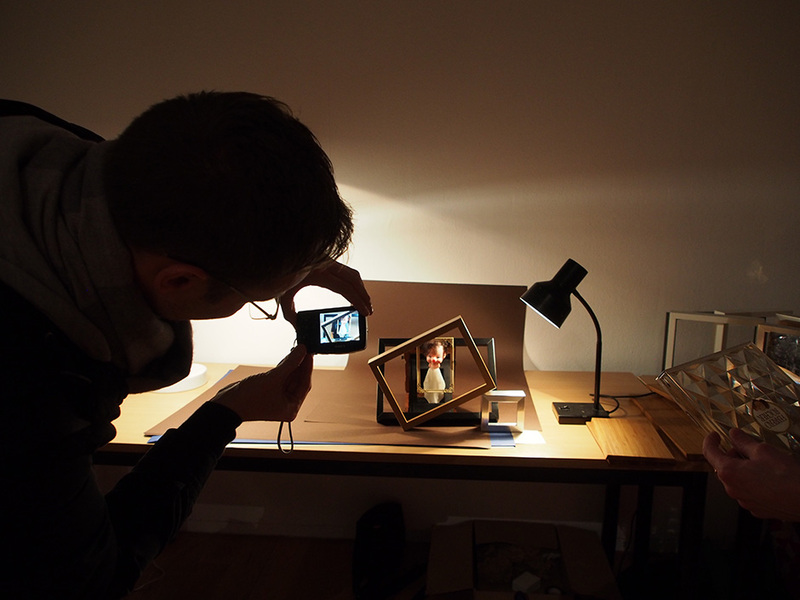 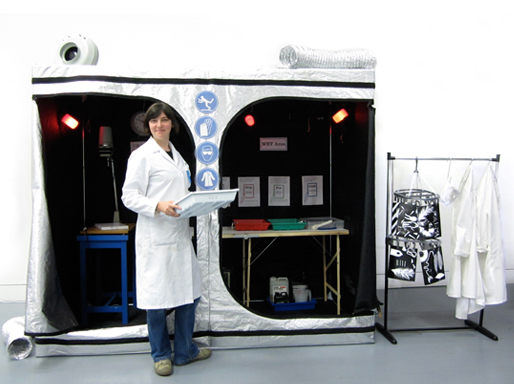 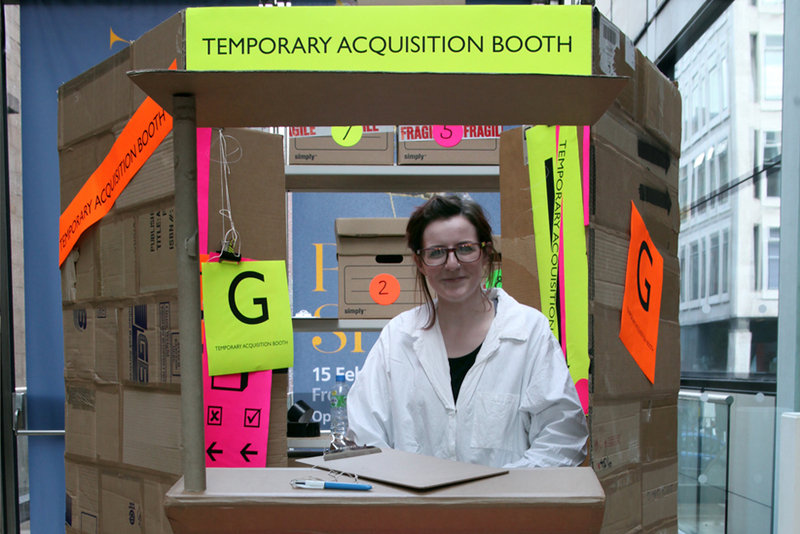 As part of the Whitworth Weekending we were invited to create an interactive installation that could grow over the weekend celebrating the last days of the Whitworth before it closed for redevelopment. 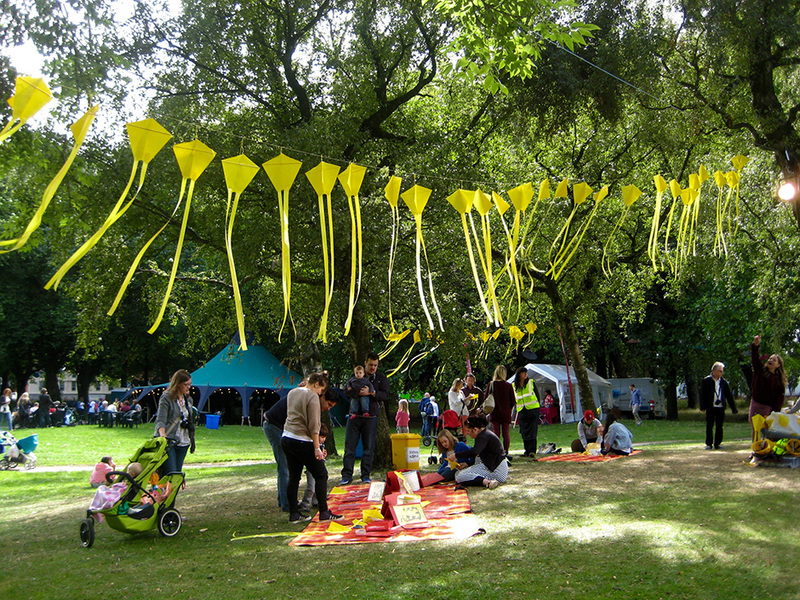 We designed a suspended kite installation right there amongst the trees and over the course of the weekend it became a truly collaborative work of art in the park. 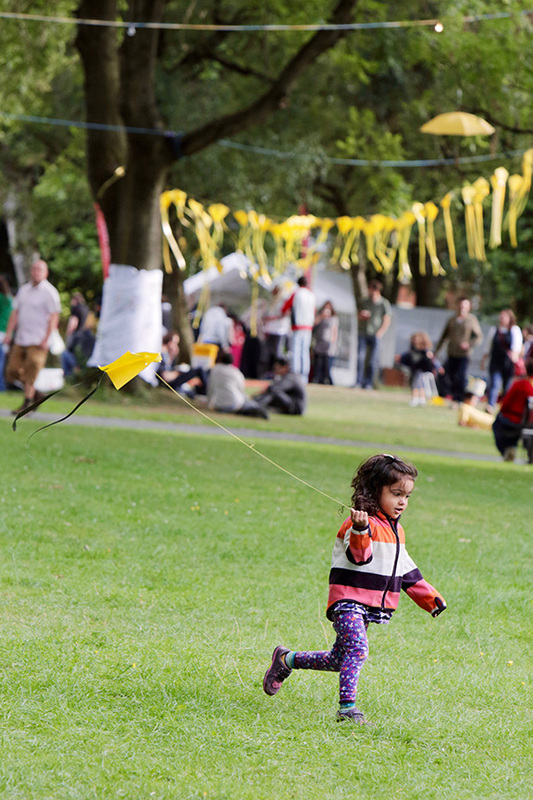 We had a feeling the event would be hugely popular so we perfected a cost-effective kite design that was a fool proof flyer! 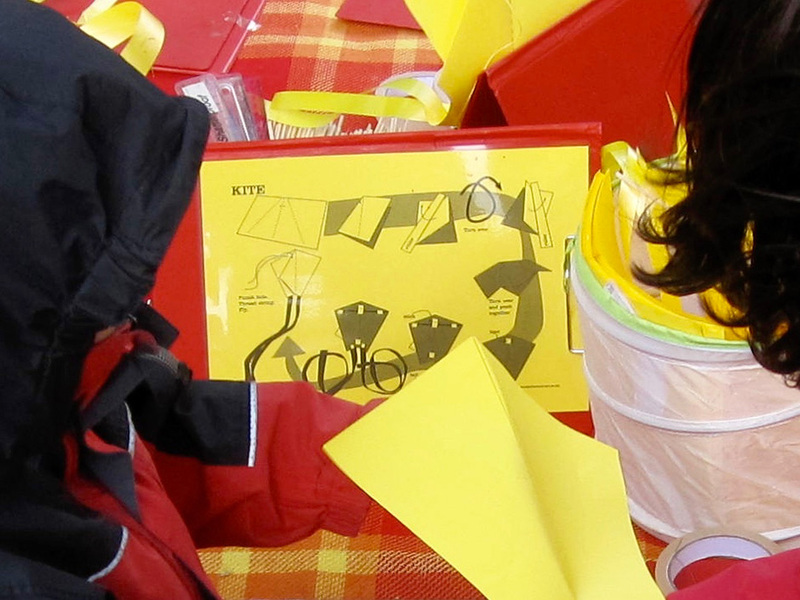 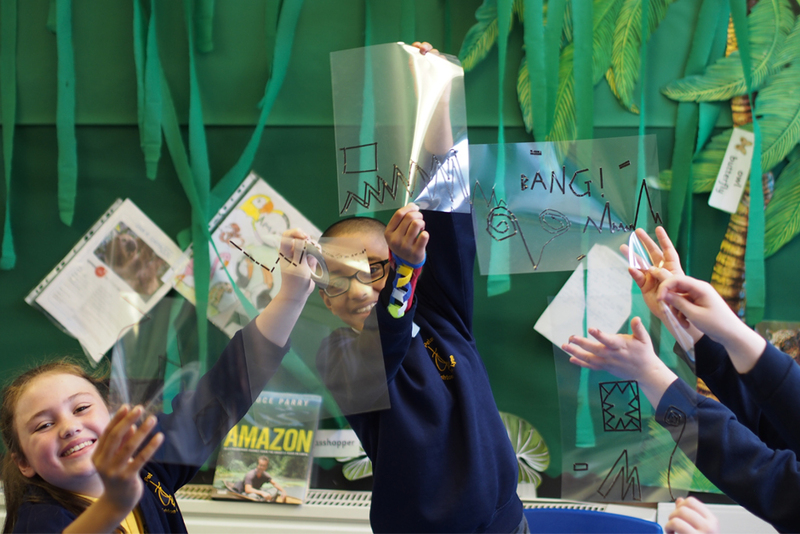 The simple self-guided visual instructions saw children and their adults work together to create their own kites. 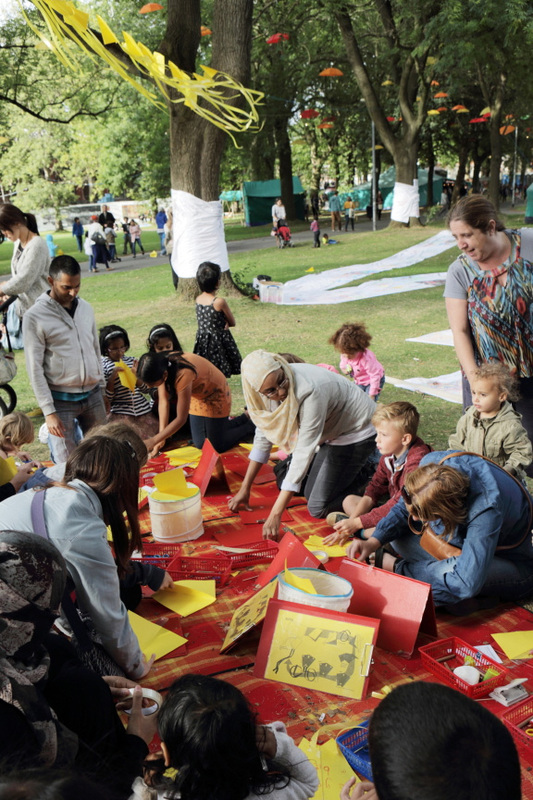 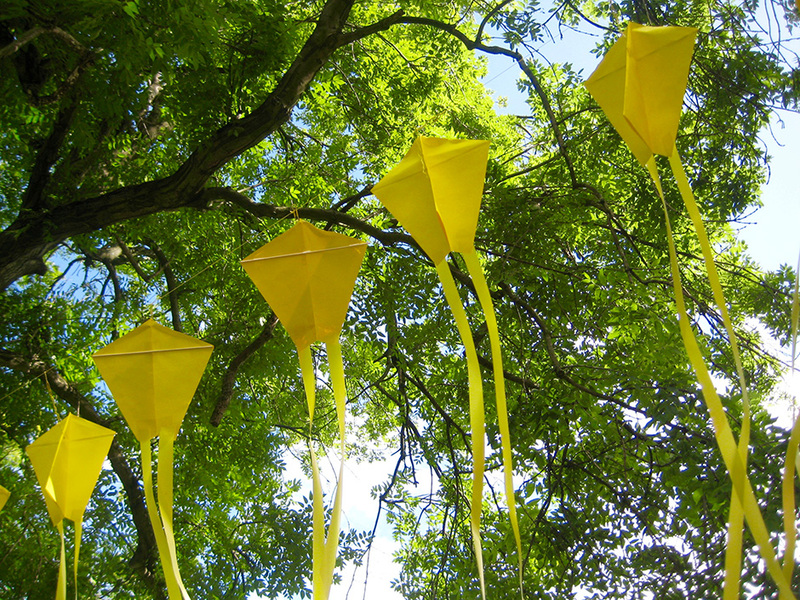 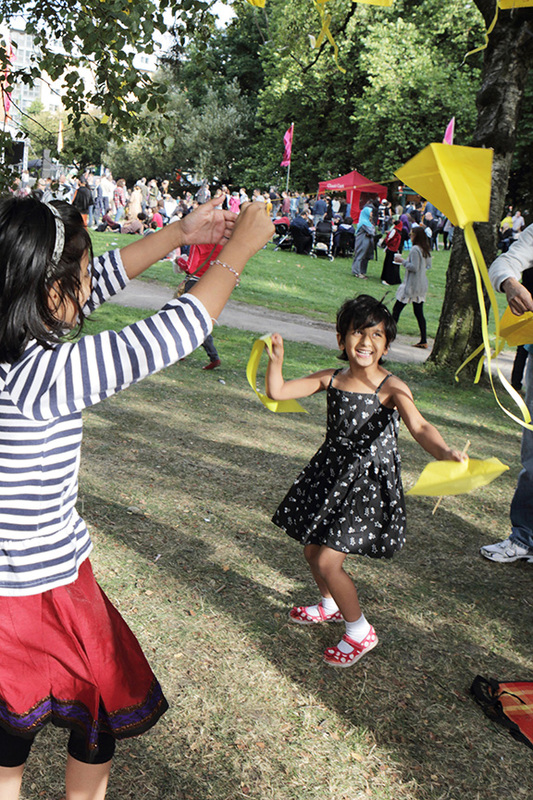 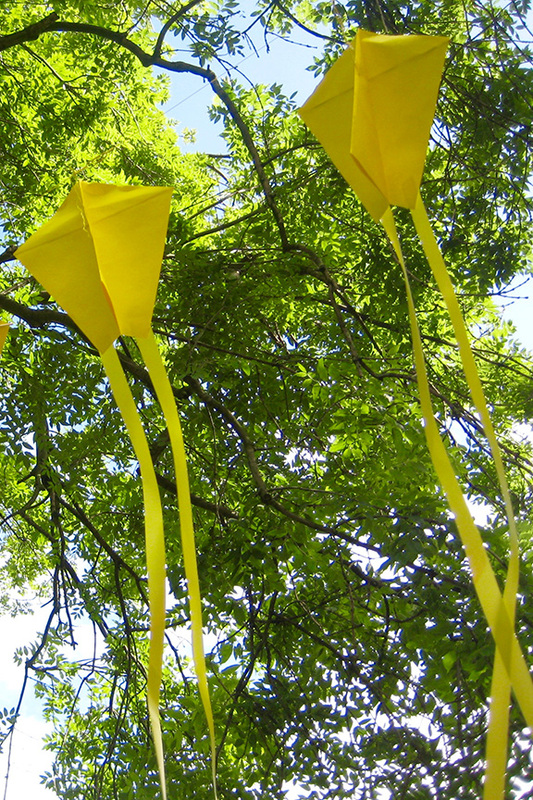 Families could take their kites home or add them to the installation. 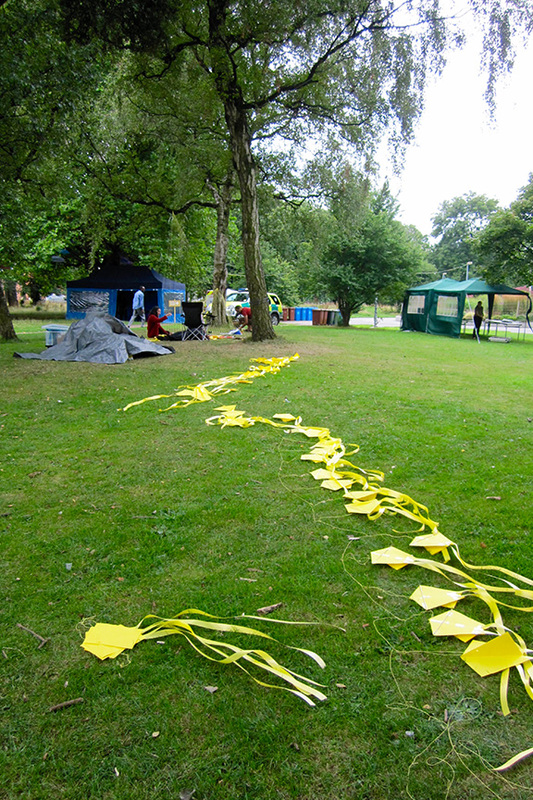 The bright yellow kites brought a dash of colour and fun was definitely in the air as families proudly flew them around the park. 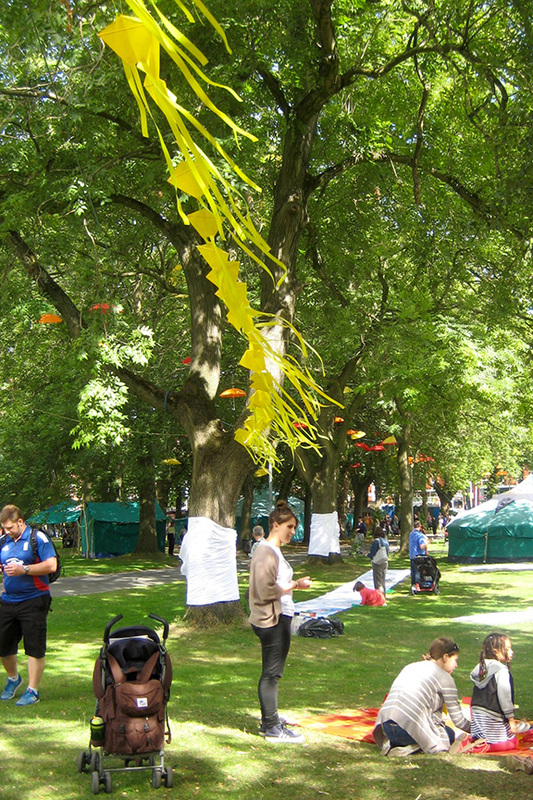 Images of the kites featured in many publicity shot promoting the Whitworth Weekending.